How many birds in this picture: Take two! 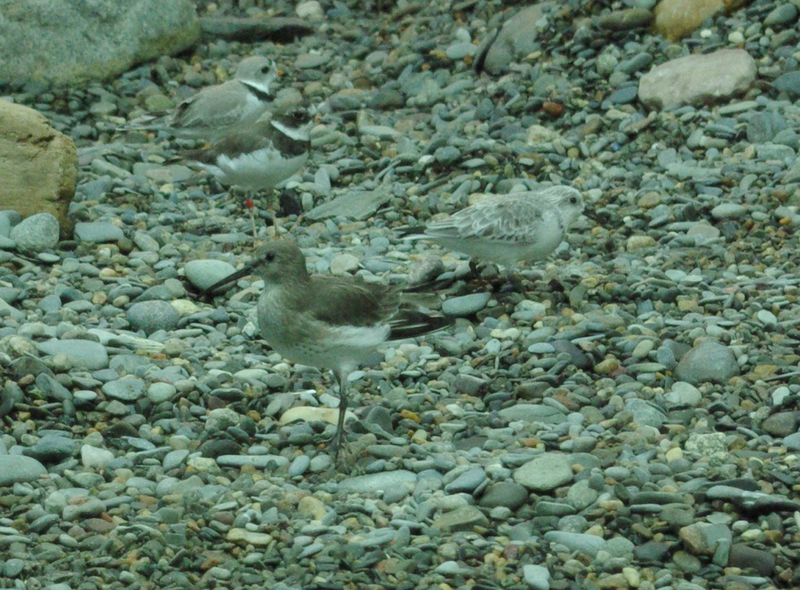 In April I posted a picture of four of our shorebirds camouflaged in their winter plumage. From top to bottom are a piping plover, semipalmated plover, sanderling and dunlin. Most of you could only find two or three of them, but look closely and there are four. The birds are all currently in their summer breeding plumage and far less camouflaged. Come see if you can tell the difference!